During our hands on time with South Park: The Fractured But Whole at EGX 2016, we also got the opportunity to try out the Nosulus Rift. Much like the Oculus rift, the Nosulus Rift allows you to experience gaming on a brand new level. However, instead of being a VR headset that is strapped around your eyes, the Nosulus Rift is strapped around your nose. This clever invention is designed for players to experience the smells in game, particularly the farts in The Fractured But Whole. During our hands on time with the game and with the Nosulus Rift, we were lead to the bathroom in order to use the facilities, this was when the Nosulus Rift kicked in, just so we could experience the atmospheric aromas. To say that the smell was unpleasant may go down as the understatement of the decade, as to even describe how bad it was would probably make the even the most iron stomachs feel ill. The gif below of my experience may give you some idea. What’s more, the Nosulus Rift is designed to let off this stink every time a fart is produced in game. There was even a part of the demo where you had to let off several farts in quick succession in order to progress. This in turn left off a series of awful smells which however did distract from the overall gameplay as opposed to fully immerse me in the game’s world. It’s still pretty funny though. 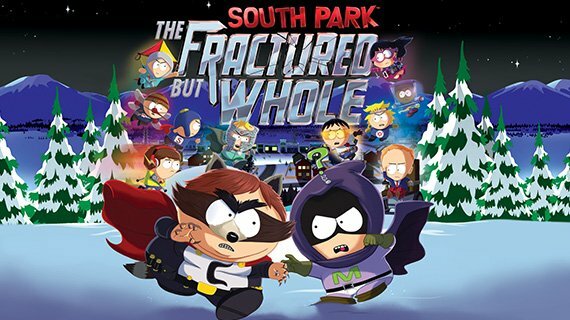 Sadly though, The Nosulus Rift is for promo use only, so there won’t be a South Park: The Fractured But Whole collector's edition, where we can invite the pungent peripheral into our very homes. Which is a shame really as I could see it becoming quite the collectors piece, or indeed the perfect thing to bring out at parties just to see people’s reactions. During EGX 2016 we got some hands on time with South Park: The Fractured But Whole. The next game in the South Park game franchise that takes place directly after The Stick Of Truth. In South Park: The Fractured But Whole character customisation has been taken to a whole new level. It has been given quite an upgrade by building on what The Stick Of Truth produced.